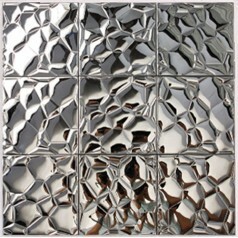 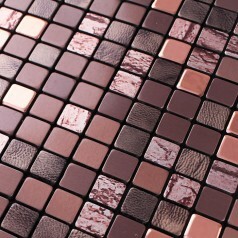 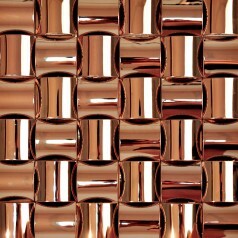 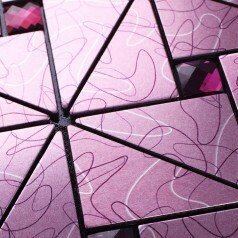 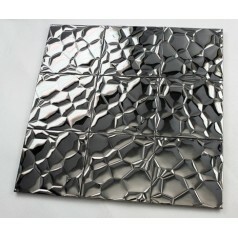 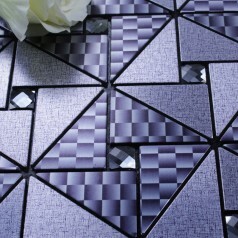 Collection: Metal Glass Mosaic Tiles; Material: Aluminum, Glass; Shape: Triangle, Diamond; Color: Purple and Red; Sheet Size: 305mmx305mm; Thickness: 4mmThese..
Collection: Metallic Mosaic Tiles; Material: Metal, Aluminum; Color: Bronze; Shape: Strip and Square; Size: 290mmx290mm; Chip Size: 15x15mm, 15*30mm; Thickness:..
Collection: Metallic Mosaic Tiles; Material: Metal, Aluminum; Color: Black; Shape: Square; Size: 305mmx305mm; Chip Size: 15x15mm; Thickness: 4mmMetallic mosaics tile..
Collection: Metallic Mosaic Tiles; Material: Metal, Aluminum; Color: Grey; Shape: Square; Size: 300mmx300mm; Chip Size: 15x15mm; Thickness: 8mmMetallic mosaics tile..
Collection: Metallic Mosaic Tiles; Material: Metal, Aluminum; Color: Silver; Shape: Triangle; Size: 305mmx305mm; Thickness: 4mmMetallic mosaics tile provide a sleek,..
Collection: Metallic Mosaic Tiles; Material: Aluminum Panel; Shape: Square; Color: Soil gold and Brown; Sheet Size: 300mmx300mm; Ship Size: 10mmx10mm; Thickness:..
Collection: Metallic Mosaic Tiles; Material: Metal, Aluminum; Color: Black; Shape: Square; Size: 300mmx300mm; Chip Size: 98x98mm; Thickness: 6mmMetallic mosaics tile..
Collection: Metallic Mosaic Tiles; Material: Metal, Aluminum; Color:Blue; Size: 305mmx305mm; Thickness: 5mmMetallic mosaics tile provide a sleek, stylish, contemporary..
Collection: Metallic Mosaic Tiles; Material: Metal, Aluminum; Color: Pink+Gold Diamond; Shape: Square; Size: 305mmx305mm; Chip Size: 15x15mm; Thickness: 4mmMetallic..
Collection: Metallic Mosaic Tiles; Material: Metal, Aluminum; Color: Grey; Shape: Square; Size: 305mmx305mm; Chip Size: 1x1 In. 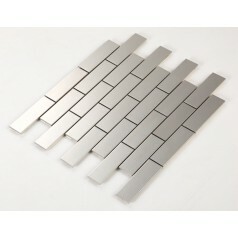 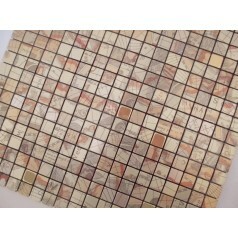 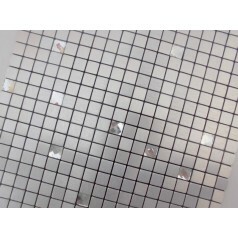 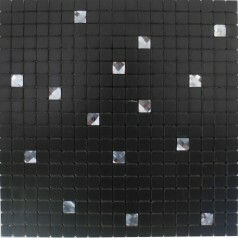 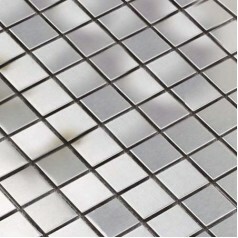 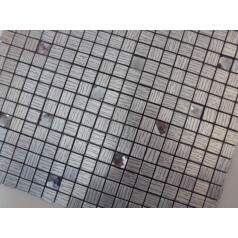 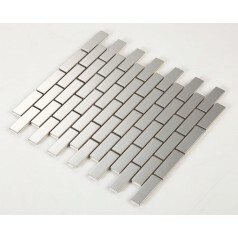 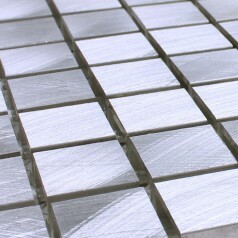 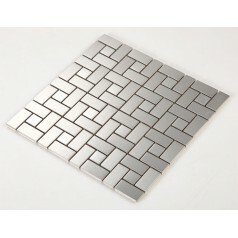 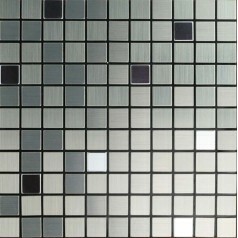 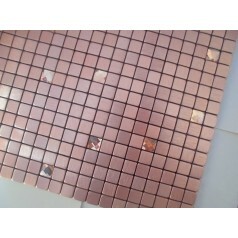 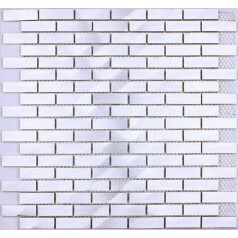 (25x25mm);; Thickness: 3mmMetallic..
Collection: Metallic Mosaic Tiles; Material: Metal, Aluminum; Color: Pink; Shape: Square; Size: 300mmx300mm; Chip Size: 98x98mm; Thickness: 6mmMetallic mosaics tile..
Collection: Metallic Mosaic Tiles; Material: Metal, Aluminum; Color: Champion; Shape: Irregular; Size: 305mmx305mm; Chip Size: 50mm; Thickness: 12mmMetallic mosaics tile..
Collection: Metallic Mosaic Tiles; Material: Metal, Aluminum; Color: Gold; Shape: Square; Size: 305mmx305mm; Chip Size: 20x20mm; Thickness: 4.3mmMetallic mosaics tile..
Collection: Metallic Mosaic Tiles; Material: Stainless Steel, Aluminum; Color: Silver; Shape: Square; Size: 300mmx3000mm; Chip Size: 20mmx20mm; Thickness:4.3mmMetallic..
Collection: Metallic Mosaic Tiles;; Material: Stainless Steel, Aluminum;; Color: multi-colored;; Shape: Square;; Size: 290mmx290mm; Chip Size: 1x1 In. 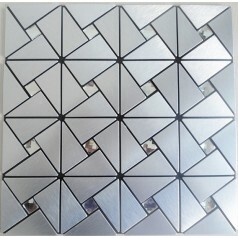 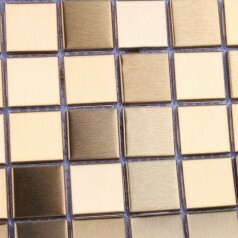 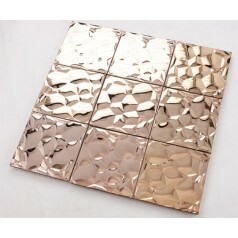 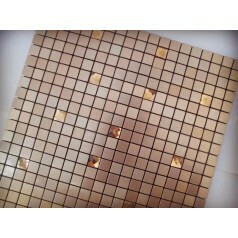 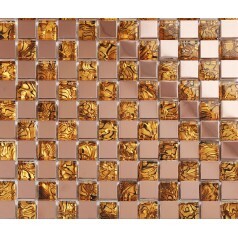 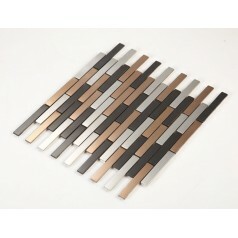 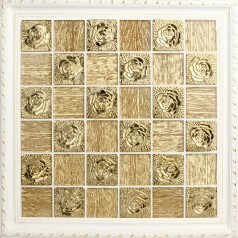 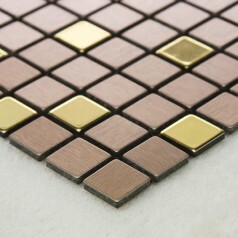 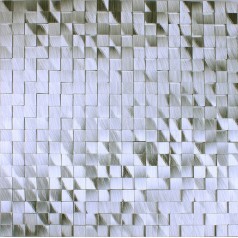 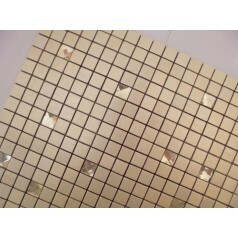 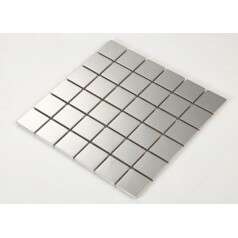 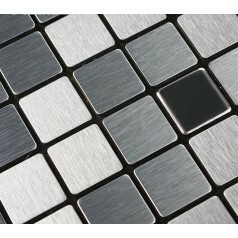 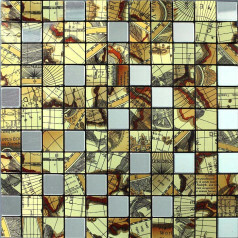 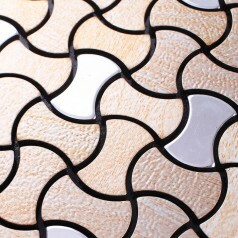 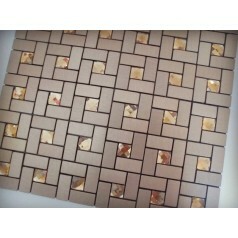 (25x25mm);;..
Collection: Metallic Mosaic Tiles; Material: Metal, Aluminum; Color: Gold; Shape: Square; Size: 300mmx300mm; Chip Size: 48x48mm; Thickness: 6mmMetallic mosaics tile..
Collection: Metal Mosaic Tiles; Material: Aluminum Panel; Shape: Irregular; Color: Beige and Silver; Sheet Size: 292mmx292mm; Thickness: 4mmMetallic mosaics tile provide..
Collection: Metallic Mosaic Tiles; Material: Metal, Aluminum; Color: Bronze; Shape: Square; Size: 305mmx305mm; Chip Size: 15x15mm; Thickness: 4mmMetallic mosaics tile..
Collection: Metallic Mosaic Tiles; Material: Metal, Aluminum; Color: Silver; Shape: Square; Size: 300mmx300mm; Chip Size: 20x20mm; Thickness: 4mmMetallic mosaics tile..
Collection: Metallic Mosaic Tiles; Material: Metal, Aluminum; Color: Gold; Shape: Square; Size: 305mmx305mm; Chip Size: 15x15mm; Thickness: 4mmMetallic mosaics tile..
Collection: Metallic Mosaic Tiles; Material: Metal, Aluminum; Color: Silver; Shape: Square; Size: 300mmx300mm; Chip Size: 98x98mm; Thickness: 6mmMetallic mosaics tile..
Collection: Metallic Mosaic Tiles; Material: Metal, Stainless steel; Color: Silver; Shape: Square; Size: 300mmx300mm; Chip Size: 15x15mm; Thickness: 8mmMetallic mosaics..
Collection: Metallic Mosaic Tiles; Material: Stainless steel,Glass; Color: Gold; Shape: Square; Size: 300mmx300mm; Chip Size: 23x23mm; Thickness: 8mmMetallic mosaics..
Collection: Metallic Mosaic Tiles; Material: Metal, Aluminum; Color: Gold and Brown; Shape: Square; Size: 300mmx300mm; Chip Size: 15x15mm; Thickness: 4mmMetallic mosaics..
Collection: Metallic Mosaic Tiles; Material: Metal, Aluminum; Color: Silver; Shape: Square; Size: 305mmx305mm; Chip Size: 15x15mm; Thickness: 4mmMetallic mosaics tile..
Collection: Metallic Mosaic Tiles; Material: Metal, Aluminum; Color: Grey; Shape: Square; Size: 302mmx302mm; Chip Size: 48x48mm; Thickness: 8mmMetallic mosaics tile..
Collection: Metallic Mosaic Tiles; Material: Metal, Aluminum; Color: Grey; Shape: Square; Size: 305mmx305mm; Chip Size: 15x15mm; Thickness: 4mmMetallic mosaics tile..